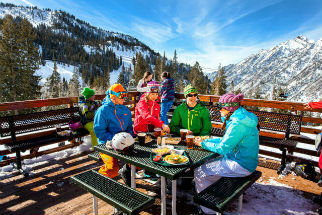 Where to rent ski gear in Salt Lake City is featured on this page of our 2019 Visit Salt Lake.org Travel Guide. Where? Those Salt Lake Ski Shops are Canyon Sports and AJ Motion Sports. Together they have 3 locations, one downtown Salt Lake which you drive by on your way up to Park City. 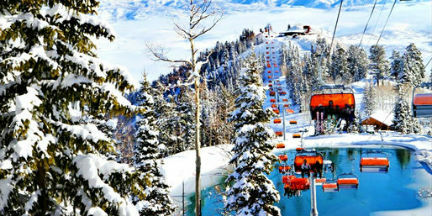 The 3rd ski shop is at 1881 East Fort Union Blvd, (7200 South in the Cottonwood Heights Shopping Center which houses one of our State Liquor and Wine Stores) and is close to the entrance of both Big and Little Cottonwood Canyons that take you to Alta, Brighton, Solitude and Snowbird Ski Resorts. This location covers the entire south end of the valley and is close to the entrance of Little Cottonwood Canyon, leading you up to Alta & Snowbird Resort.